A capital campaign is a targeted fundraising effort that takes place over a defined period of time. Typically, there are two overarching phases: the quiet phase and the public phase. During the quiet phase, 50%-70% of the funds are raised through major gifts strategies. And during the public phase, the remaining funds are raised by soliciting donations from a larger population of donors. More often than not, capital campaigns are used by organizations, like hospitals and educational institutions, to raise money for concrete projects such as new construction and building renovations — hence the nickname, brick-and-mortar campaigns. How are capital campaigns unique? 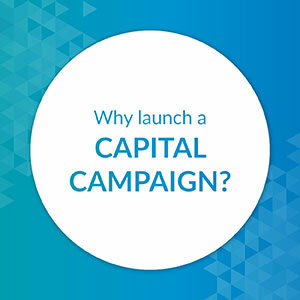 Why launch a capital campaign? Get a demo of our prospect research tool to help with your capital campaign! Capital campaigns differ from other forms of fundraising in that they are massive projects that can span multiple years and cost thousands of dollars. As such, capital campaigns often require a targeted fundraising effort with specific phases. Before donating, supporters know exactly what it is they’re helping to accomplish. 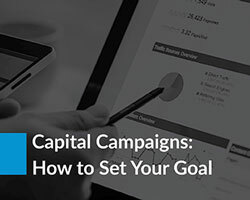 Whereas other types of campaigns will have general goals and benchmarks to aim for, the goals of a capital campaign are more specific and clearly laid out as the campaign progresses through its phases. The end goal of a capital campaign is rarely an abstract change; it is almost always something concrete, like a building or equipment. Additionally, the distinct phases of capital campaigns set them apart from other forms of fundraising in that they offer an obvious delineation between private fundraising and public appeals. Capital campaigns are most useful when you know you have a set time frame to accomplish a major fundraising feat. A nonprofit, university, or hospital might choose to launch a capital campaign over hosting any other sort of fundraiser for a number of reasons. However, the decision ultimately boils down to need. Capital campaigns are often the only way that an organization can fund a vital expansion, such as a new building or other large-scale construction project, that would further its project. 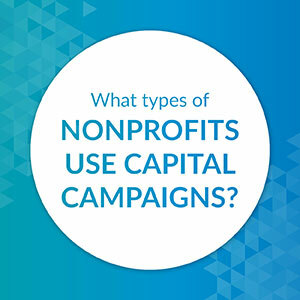 What Types of Nonprofits Use Capital Campaigns? Although any nonprofit looking to raise funds can benefit from a capital campaign, they are usually run by larger organizations who have equally large needs and projects on their dockets. Healthcare institutions: hospitals, hospices, etc. Educational institutions: universities, private schools, independent schools, etc. Both organization types tend to require help with substantial, concrete projects more often than other categories of nonprofit. 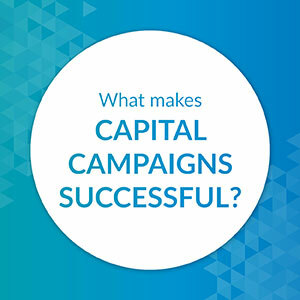 What Makes Capital Campaigns Successful? The most effective capital campaigns combine the power of traditional fundraising methods with the incentive of an immediate and tangible need. Just as having a solid foundation for a building is important for the overall integrity of the architecture, capital campaigns depend on several key components to be highly effective. For this reason, it’s important for your team to thoroughly plan out your capital campaign’s strategy prior to launching your campaign. To get started, consider some of the following components of successful capital campaigns as you begin plotting out your strategy. Strict deadlines with a set end date. A quiet phase for major gifts. A public phase for all gift types. Within the planning phase, you must complete a feasibility study, assemble your team, set your goals, deadlines, and budget, and conduct a prospect screening. Here, you’ll focus on the top major gift leads. This phase can take upwards of a year. 50-70% of your funds will be raised during this phase, so it’s absolutely crucial. The kick-off phase marks the launch of your campaign. After months quietly courting major donors, it’s time to host a press conference and throw a launch party. Finally, you’ll extend your reach out to the community and smaller donors. The public phase can also encompass follow-through: the wrap-up to your efforts. Learn more about capital campaign timelines! What is their role? Board members will be involved in the day-to-day planning and execution of your capital campaign, but they’ll also be at the forefront of big picture discussions. Why are they important? Board members are crucial on two levels. Any time you’re expending money and/or resources, you’ll need board approval. You also want them there to help secure major gifts, especially during the quiet phase. What is their role? Your campaign chair is going to be one of the most crucial team members. The chair will be in charge of overseeing your committee(s) and act as an ambassador for your capital campaign within the community. Why are they important? They can set the stage by contributing an early major gift, and they can also most effectively promote and advocate for your campaign. What is their role? Capital campaigns often enlist the help of major gifts officers, prospect researchers, volunteer coordinators, event planners, and marketing coordinators among others to bring their unique expertise to the table. Why are they important? By strategically picking key players that you know will be committed to seeing this project through, you position your capital campaign for prosperity. What is their role? Your capital campaign planning committee should be formed to help plan the campaign and will consist of between 10 and 15 members. Why are they important? Including top-level development staff, some board members, and volunteers who are prominent community members, the planning committee will get things rolling in the right direction. What is their role? When you really think about it, almost everyone on your capital campaign team is a volunteer of some sort. It’s important to pick just the right players to round out your league. Why are they important? No fundraising endeavor would be complete without the input and manpower that volunteers selflessly provide. What is their role? It is the committee most directly involved with the ongoing maintenance of the capital campaign. As such, it’ll share some members with the planning committee but will feature new additions as well. Why are they important? The steering committee is in charge of making sure everything runs as it is supposed to throughout the campaign. Read more about the essential components of a capital campaign! If you’re looking to plan and execute a capital campaign, it’s worth considering asking for help from the experts: capital campaign consultants. When you’re working through what your campaign will involve, make note of any areas where you think you’ll need help. Then, prioritize those needs and look for consultants who will meet them. Maybe you’re worried about the major gifts you’ll need to acquire during the quiet phase. Maybe you’re in desperate need of some guidance for your feasibility study. Bottom line: Before you can hire a consultant, you need to know what you’re looking to gain and what services will help you get there. As with any outside consultants, you should address practical concerns before deciding on a firm to move forward with. For some organizations, you’ll want your consultant full-time, in office. For others, remote work with intermittent meetings is the best plan. Bottom line: Finding a consultant who is able to offer you the level of access you need is critically important to a productive working relationship. To avoid problems down the road, make sure your expectations regarding access are clear from the get-go. Before you make any hiring decisions, you need a good sense for what a consultant’s past work product has been and the quality you can expect for your campaign. Work samples will also give you an idea of the options you have and what you can request help with. Bottom line: Before committing to any consultant, it’s highly advised that you get a feel for their track record and an accurate understanding of what you can expect to see during your own campaign. Learn more about hiring capital campaign consultants! This consulting firm has proven experience helping nonprofits of all shapes, sizes, and focuses build sustainable solutions to help strengthen key aspects of your operations. Specifically, this firm focuses on assisting fundraising, strategic planning, executive searches, and board governance. A full-service consulting firm that brings over 75 years of experience, Averill empowers nonprofits with the capacity and confidence they need to achieve their capital campaign goals. Averill adheres to proven best practices in campaign strategy and direction, feasibility studies, and leadership training. Donorly is a nonprofit consulting team that prioritizes donor and prospect research. Their data-based approach, along with their emphasis on a collaborative culture, have benefited nonprofits in every sector. They offer services in consulting as well as board expansion and interim staffing services. Learn more about Donorly's services! This consulting firm brings a unique approach to fundraising by connecting major stakeholders to missions. They’ve guided more than 320 diverse organizations through campaigns that have raised a total of over $1 billion in funds. Areas of expertise include capital campaign planning and donor identification. 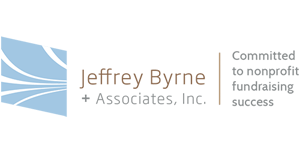 Learn more about Jeffrey Byrne! Through the use of surveys, and often outside help from consultants, nonprofits use feasibility studies to gauge whether or not they’ll be able to meet the goals they hope to accomplish with a potential capital campaign. Prior to launching your capital campaign’s quiet phase, you’ll interview 20-40 members of the community (including a few prominent board members) to see if they would be willing and able to help fund the project in question. At the feasibility study’s close, you should know if there is enough interest and support to move forward, and you’ll also want to know how much your existing donor pool can and will realistically contribute. Read more about feasibility studies! Once you have a desired dollar amount in place for your fundraising goal, it’s time to come up with a concrete budget. On average, a capital campaign will cost an organization upwards of 10% of the end goal. Say, for instance, that your nonprofit aims to raise $10 million. That campaign would likely cost $1 million. Many nonprofits forget to factor in campaign costs when setting goals. Capital campaign activities range from events to face-to-face fundraising to direct mail (and many other fundraising strategies). It’s important to map out exactly what your campaign plans are and plan your budget for all foreseeable activities. Another consideration that you need to factor into your budget is the cost of a consultant’s services. Decide whether it’s worthwhile to hire a consultant and the extent of the help you’ll require. Make sure to allot enough funds in your budget to pay for the consultant’s services. Check out more tips on setting a budget and planning a capital campaign! A gift range chart is your nonprofit’s way of mapping out future gifts. It helps break your capital campaign fundraising goal into more manageable chunks. Essentially, you’ll take your total dollar amount goal and divide that amount across giving levels. In your gift range chart, you’ll list out how many gifts of a certain size you’re looking to secure. The larger the gift, the fewer the donations of that quantity you’ll be aiming for. Thus, you will be able to see how many people you’ll need to solicit for each gift size in order to meet your fundraising goals. This is not meant to be a hard-and-fast rule but rather a guideline to help lead your fundraising efforts when you get to the solicitation phase. Why Start with Major Donors? Major donors are a major factor in your campaign’s success. Approximately 60% of your capital campaign’s total will consist of funds from major donors (mostly acquired during the quiet phase). Look for candidates with both an affinity for your organization and the ability to gift a large donation. 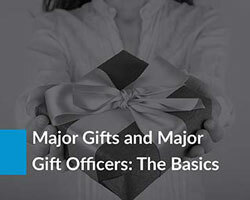 Learn more about the basics of major gifts! How Do You Find Major Donors? Prospect research will help you identify major donors through the investigation of key characteristics that influence a person’s warmth toward your nonprofit and capacity to give a major gift. Those characteristics involve a combination of wealth markers and philanthropic indicators. Learn more about prospect research! One of the best ways to entice major gift donors to contribute to your capital campaign is to offer exciting incentives. Offering substantial gift donors naming opportunities (if you’re constructing a new building) is one surefire way to get them to break out all the stops. Let your board lead your donors by example. 100% participation from your board shows donors that the campaign is something your whole team believes in. Plus, your board members are bound to be some of your best major gift prospects! Capital campaigns can often span multiple years, meaning you’ll have hoards of donor data to track. Ensure that you’re using your CRM properly and keeping accurate records of donor behavior. You’ll be able to learn from that information after the campaign concludes. Nothing says “thank you” quite like a spectacular celebration. And as you probably know, it’s vital to the success of your organization on the whole to have happy donors. Show them some love for the support they’ve shown you! Highlight contributors who have helped you make the biggest leaps and bounds throughout your campaign. It is absolutely crucial that your capital campaign has a cohesive brand. It helps tie all of your efforts together and makes the work you do recognizable across your various fundraising channels. Stay consistent throughout your marketing materials, starting with your case statement. In addition to maintaining consistent branding, your capital campaign should also create a unique tagline. The right slogan ensures that your capital campaign stands out from the pack. From your slogan, potential supporters should be able to easily grasp what’s at the core of your campaign. While it’s important to keep donors in the know during any sort of fundraising campaign, it’s especially vital to update supporters during a capital campaign. In order to keep the momentum up throughout the duration of your efforts, you must have a steady flow of communication with the people whom you plan to ask for help along the way. The end celebration is the big “thank you,” but it’s definitely not the only time you should show your appreciation. In order to have a healthy, successful capital campaign, you should thank your donors immediately, sincerely, and often. “Thank” and “you” are words that don’t tire easily. Discover more great tips for optimizing your capital campaign! What Exactly is a Capital Campaign Grant? The goal of a capital campaign grant is to make a large contribution to worthy renovation projects that will enhance the mission of the recipient charity. Grants are sought at the outset of a campaign and often set nonprofits up with the possibility of encountering other major gift donors. Are They Different Than Challenge Grants? Challenge grants require nonprofits to complete a challenge (hence the name) or match funds in order to receive the grant money. Capital campaign grants don’t typically require either of those stipulations. A capital campaign grant can be a challenge grant, but it doesn’t necessarily have to be. How Do You Seek Out a Grant for Your Organization? Much in the same way you’d apply for any other grant, you’ll want to start by seeking out institutions that award grants to nonprofits like your own. Then, start drafting your proposal. Once you’ve crafted an elegant proposal that gets to the heart of your campaign’s mission, submit it for approval. Learn more about the grant writing process! What is it? Your case for support both summarizes the work you’re looking to do and persuades supporters to get involved. It also provides a broader justification for why your nonprofit exists and why the project is needed. What should it look like? It should include a brief background summary of your organization, an explanation of the project and goal, details on why the project is important, and a defense of why you’re doing this now. What is it? Consider creating a separate site for your capital campaign or a dedicated page. Instead of directing supporters to your main site in your online promotions, you can send them directly to your campaign website/page. What should it include? Within the site, you should provide the donation page for your capital campaign, event registration forms, progress updates on the campaign, and engagement materials like videos and photos. What are they? Brochures are a great way to give detailed information about your capital campaign to donors and prospects in a tangible format. It’ll be a natural extension of the ideas from the case for support you’ve crafted. What should they look like? Your capital campaign brochures should include information about different giving levels, donor incentives, and ways to give. What is it? Capital campaign slogans are brief, catchy ways of communicating your campaign’s brand. The slogan is a big part of how you’ll differentiate the campaign’s efforts from your other fundraising endeavors. What should it include? It should be a cohesive symbol of your branding. It should be short, to the point, and connected to work your campaign is doing. What are they? Use letters to market your capital campaign to your supporters that prefer direct mail. Don’t underestimate the value of a well-crafted appeal letter. What should they include? Campaign letters should be personal, clearly explain your capital campaign, make a genuine appeal, and thank donors in advance. What are they? Your capital campaign pledge cards should match the branding of the rest of your campaign and can be sent in the mail, given out at events, or provided during meetings. What should they include? The card should include a space for donors’ names, contact information, donation amount, and a payment schedule. Check out more capital campaign marketing tips! Does your capital campaign have the right prospect research in line? 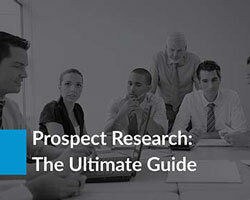 Brush up on everything there is to know about this valuable strategy with our newly-updated Prospect Research Ultimate Guide! Still have questions about planning and executing capital campaigns? 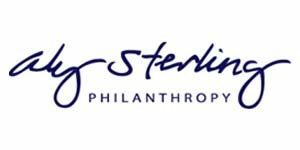 Check out this in-depth resource from Aly Sterling Philanthropy to learn all you can about this important fundraising subject! 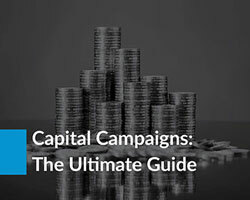 Check out this comprehensive guide to capital campaigns! How do major gifts fit into your capital campaign’s fundraising plan? Discover more about major gifts and how you can successfully solicit them with our extensive guide! Find out more about the basics of major gifts fundraising! Wondering how to set the right capital campaign goals? Perfect the goal setting process and exceed your campaign’s expectations with Averill Fundraising Solutions’ guide! Learn more about setting capital campaign fundraising goals!